Pooja Babbrah is Point-of-Care Partners’ Practice Lead for PBM Services and is a co-chair of NCPDP’s Specialty Pharmacy Work Group, formed in 2018 in response to stakeholder demand to automate and standardize specialty pharmacy transactions. A senior healthcare information technology consultant, Pooja specializes in product management, strategic planning and go-to-market strategies and execution. With more than 20 years’ experience in various health care services and health care IT companies, she brings a unique expertise to the clients as she understands the perspectives of all stakeholders including PBMs, health plans, patients, physicians, ePrescribing and EMR vendors and hospitals/health systems. 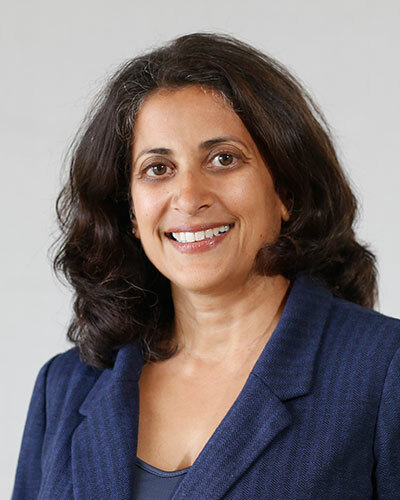 Throughout her career, Pooja’s efforts have been instrumental in bringing more relevant and critical information into the ePrescribing workflow encompassing prior authorization, real-time benefit checking, clinical messaging and eEnrollment forms including specialty pharmacy, patient assistance program enrollment, and other types of forms related to prescribing that are currently being handled manually. Prior to joining Point-of-Care Partners, Pooja was with DrFirst. There she launched the health care industry’s first certified ePrescribing platform for controlled substances, DrFirst’s EPCS Gold 2.0 and was also involved with the development and launch of the company’s HIPAA and DIRECT compliant secure clinical messaging platform. While at DrFirst, she also built and ran the company’s Product Management team that was focused on new product innovation. Pooja was also involved with the industry’s continued efforts to bring more relevant and critical information into the ePrescribing workflow encompassing prior authorization, real-time benefit checking, clinical messaging and eEnrollment forms including specialty pharmacy, patient assistance program enrollment, and other types of forms related to prescribing that are currently being handled manually. Before DrFirst, she spent time at Healthways as the lead product manager for the company’s suite of wellness products consisting of a health/wellness portal, coaching programs and fitness center network and, at NDCHealth/McKesson, she managed their largest physician practice management system and EDI products. Pooja started her healthcare career in a Strategic Planning role with a large Hospital System in Arizona and spent nearly 5 years on the strategic planning and product management side of a nationwide PBM, initially focused on the company’s health plan and pharmaceutical clients and then moving into eBusiness strategy and planning, focused on early-stage physician ePrescribing products. Pooja has her BA in Business Administration/Information Systems from the University of Washington and an MBA from the W.P. Carey School of Business at Arizona State University. She also has her Product Management Certification from the Pragmatic Marketing Institute. Pooja is the Carry5 Walk for Water event coordinator in Arizona for Water1st, International and also serves on the nonprofit organization’s Advisory Council.